Have you ever driven past a lovely replanted verge and thought, “Gosh, I should do that!” What a great idea! Well now there’s a small group of keen neighbours in the Guildford area who would love you to join in. Here’s the idea: we’d love to get a few small groups of neighbours together, ideally a group(s) of homes that are close by, and ideally either in Guildford, or say, Woodbridge or South Guildford, to revamp their verges together. We plan to start with a meet/greet/ideas session, with a speaker on how to clear your verge and get rid of grass/weeds. This is the ideal time of year to do so. Our motive is to promote verge gardening and to create some fine and lovely local examples for people to enjoy. Whether your interest is a verge planted with natives, veggies or just mulched, we’d love to hear from you. 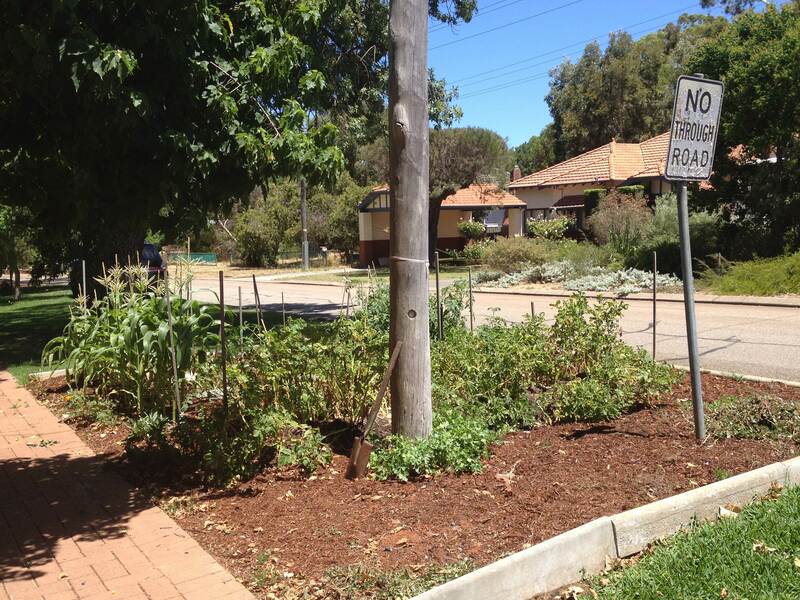 This entry was posted in Community, Environment, Flora & Fauna, Gardening, Take Action, Verge Gardening and tagged kill lawn, Native verge garden, revamp verge, Verge Garden. Bookmark the permalink.